Our services begin with an appointment for a dental cleaning and exam. Otherwise known as a checkup, these six-month visits give Lancaster, TX, dentist Dr. Gupta that opportunity to initially assess the condition of your teeth and gums and then regularly monitor your oral health. These appointments often include digital x-rays and other evaluative techniques when necessary, such as molds or CT scans. With this information, Dr. Gupta is able to form a baseline reading of your smile and make a recommendation for treatment. If Dr. Gupta finds that any of your teeth have serious fractures, a penetrating crack or severe tooth decay, then she will likely suggest a dental crown to preserve the tooth. After removing decay and preparing the tooth, Dr. Gupta cements the crown—often called a cap—over the tooth. This tooth restoration looks like a natural tooth and thanks to the latest advances in dental materials, performs just as well, too. What could a filling to repair a cavity have to do with a cosmetic procedure that restores a tooth’s natural shape? A lot! Both use tooth-colored composite resin, a strong and durable dental material that bonds to the tooth. For a tooth-colored filling, Dr. Gupta removes decay and then fills your cavity with a shade of resin chosen to match the natural color of your tooth. Similarly, the same material is used in cosmetic bonding to rebuild a tooth that is chipped, broken, misshaped or permanently discolored. 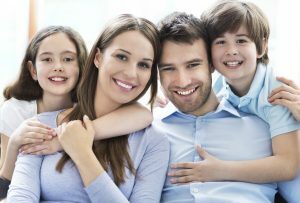 To learn more about the family dentistry services we provide or to schedule a dental checkup, contact Lancaster Family Smiles in Lancaster, TX.